Nature of Trustee’s Liability In circumstances where a trustee breaches a fiduciary duty or improperly exercise a power, a trust beneficiary can bring an action against the trustee under substantive principles of equity. A trustee may be subject to removal, denial of compensation, or other relief provided by the court. Tort Liability of Trustee A trustee is only personally liability in circumstances where he is personally at fault. Florida law provides that the trust is liable for those torts committed in the course of trust administration. Liability for Breach of Contract A trustee is liable for breach of contract only when he or she fails to reveal his or her representative capacity and identify the trust estate in the contract. Exoneration from Liability An exoneration provision is usually provided in trusts agreements to limit liability or to protect a trustee from liability. These types of provisions have been upheld as valid. 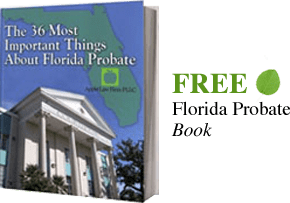 If you would like more information the liabilities of a Trustee, CONTACT our Florida Trust Lawyers by email or call us at 904-685-1200 to discuss your situation today.